Below you can view all the homes for sale in the Miramonte At Summerlin subdivision located in Las Vegas Nevada. 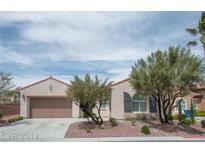 Listings in Miramonte At Summerlin are updated daily from data we receive from the Las Vegas multiple listing service. To learn more about any of these homes or to receive custom notifications when a new property is listed for sale in Miramonte At Summerlin, give us a call at 702-930-8014. PARKS galore! YOU'LL LOVE LIVING HERE! MLS#2088963. Top Tier Realty. Located in an exclusively 1-story community in The Vistas near all. MLS#2087016. Realty ONE Group, Inc. Fantastic One Story Home On Elevated And Large Corner Lot, Nice Courtyard Entry To Front Door, Open Floor Plan With Master Separated From Other Rooms, Plantation Shutters, Granite Kitchen Counter Tops, Great Room With A Fireplace, Formal Dining Room, Open Den, Master Bedroom With Huge Walking Closet And Dual Entering Doors, Beautiful Front And Back Yards Landscaping, Covered Patio, Monthly Hoa Fee Is $50 Only For Summerlin West. MLS#2079193. Kimillion Realty LLC. Sparkling in ground pool & spa, private yard with covered patio. New carpet and paint. MLS#2070236. Char Luxury Real Estate.